Forget the tired concept of chasing after clients one at a time only to face rejection after rejection–there is no need to keep doing what doesn’t work especially when the alternative is so much more fun and lucrative. This new women’s business book reveals an entirely different approach. 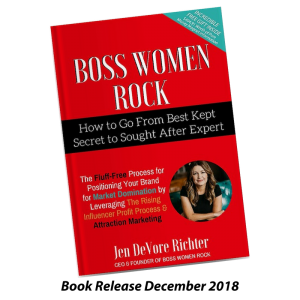 Whether your dream is to build a successful consulting business, grow your practice, or sell more services, Boss Women Rock has the blueprint. How to avoid imposter syndrome and the other BS false lies that will try to hold you back from shining your light. How to connect with an audience that will actually care about your message and buy your business’ products and services. Why direct response conversion and sales tactics prevents your marketing from just being a big waste of time and money. How to leverage small stages and events for maximum income, impact, and influence when the big meeting planners won’t let you play in their sandbox. 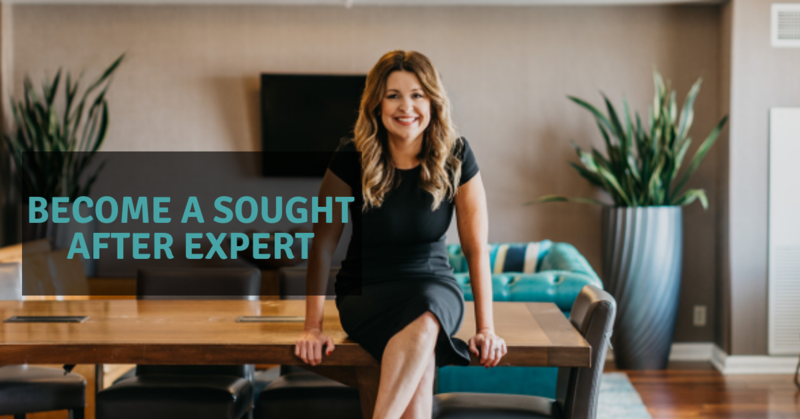 In 2017, Jen landed $108,000 in free media publicity and used the attention to build her credibility faster so she could focus on claiming her own stage. She is known as the Powerhouse Producer of Rising Influencers™ helping her clients earn more by focusing on just 5 key profit-busting areas of their business. Now, she is sharing her proven Rising Influencer Profit Process™ for maximizing profitability in an expert business in this new women’s business book.